KUALA LUMPUR, -- The Royal Malaysian Air Force (RMAF) will get five Pilatus PC-7 Mark II aircraft by end of next year to add to its fleet of training aircraft. 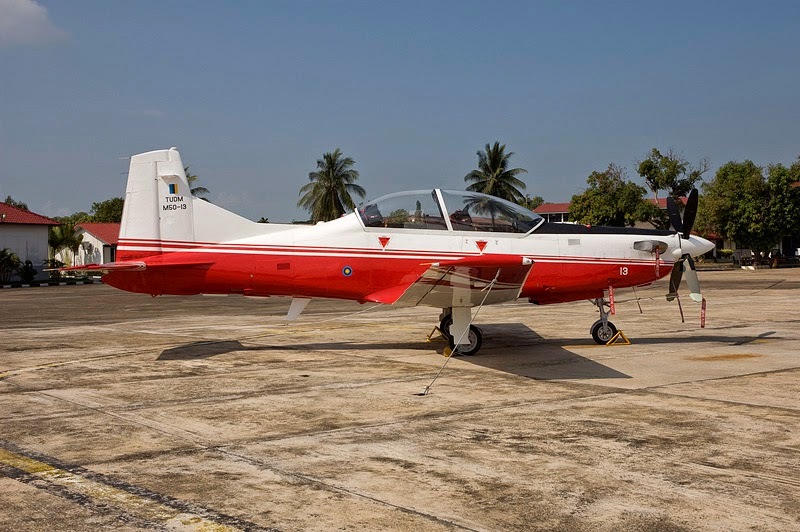 Its chief, General Datuk Seri Roslan Saad said the five aircraft were purchased last year from Pilatus Aircraft, Switzerland, to be used by trainee pilots at the Air Force College (KTU) here. He said so far they have 16 PC-7 Mark II aircraft purchased in 1999 and 2006, but the number was not sufficient to accommodate the number of trainee pilots at a time. 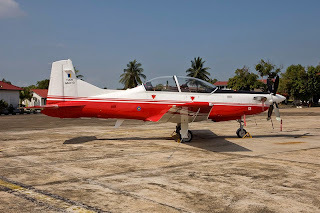 He said the purchase of these aircraft is to replace the 32 Pilatus PC-7 Mark I aircraft which are over 30 years old, purchased by RMAF since 1983. "The more than 30 years old aircraft will be disposed off in stages. We hope with these new aircraft, we will be able to produce more pilots in the future," he said after presenting Flight Wings to 27 young RMAF officers here Saturday. Roslan said they would also hire six Eurocopter C120 helicopters from local companies over a period of five years, for training trainee pilots in KTU. The Royal Malaysian Air Force Pilatus PC-7 Mark II trainer aircraft.